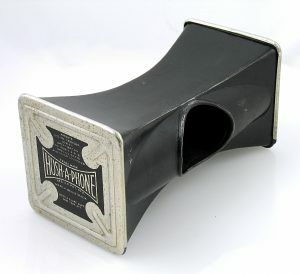 This unassuming little device, called a “Hush-A-Phone,” is a small rectangular baffle that fits over the mouthpiece of a candlestick telephone. There is an opening in the front just big enough to place your lips into. When you speak, the party on the other end of the line can hear clearly, but no one in the room with you can make out a single peep. In the late 1940s the Hush-A-Phone company was sued by AT&T, who didn’t allow third-party add-ons to their telephone equipment. 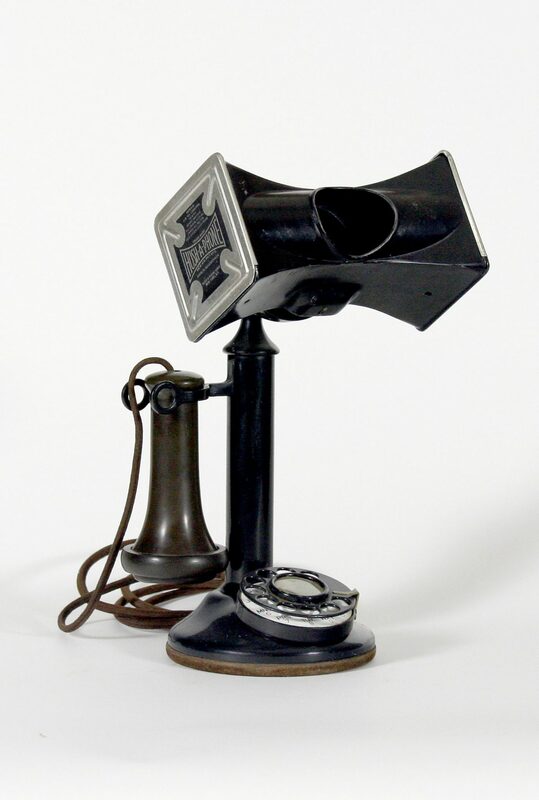 The case was eventually decided in 1956 in favor of Hush-A-Phone, a defining moment in the development of an aftermarket for telephone equipment, which eventually lead to telephone modems. Who would have thought this nondescript little black box would be the first step in a long chain of events that would eventually lead to the breakup of AT&T and the development of the public internet?